Westlife were an Irish boy band, formed in July 1998 and disbanded in June 2012. Originally signed by Simon Cowell and managed by Louis Walsh, the group's final line-up consisted of Nicky Byrne, Kian Egan, Mark Feehily and Shane Filan. Brian McFadden was a member from July 1998 until his departure in March 2004. 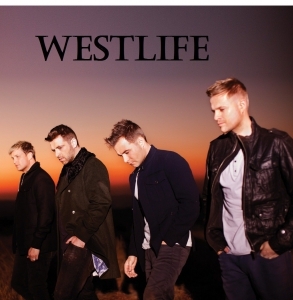 Westlife sold over 50 million records worldwide, a total that included studio albums, singles, video releases, and compilation albums. The group accumulated 14 number-one singles in the United Kingdom. They achieved a total of 26 UK top ten singles over their 14-year career. In 2012, the Official Charts Company listed Westlife 34th amongst the biggest-selling singles artists in British music history. Despite their success worldwide, Westlife never managed to break into the U.S. market, achieving only one hit single in 2000, "Swear It Again". Based on BPI certifications, the group have 11.1 million albums and 6.8 million singles in the UK.